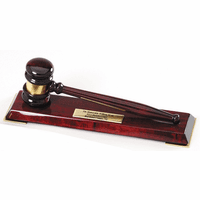 FEATURES/SPECS This personalized walnut gavel and sounding block comes packaged in an elegant gift box, ready to be presented to a special lawyer or judge. 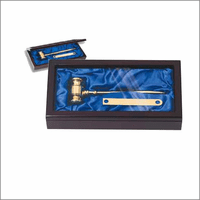 The gavel features a gold band wrapped around the head which can be engraved with the name or message of your choice. The box features a satin blue lined interior for an elegant presentation. 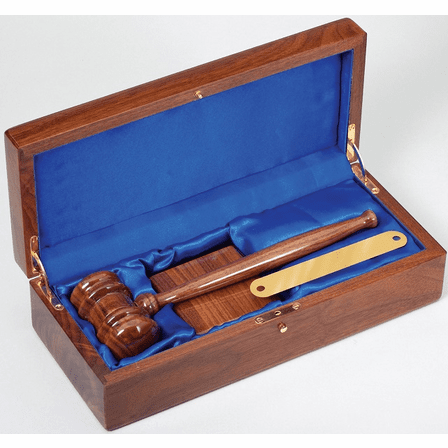 The gavel, the sounding block and the case are all made of walnut, lacquer coated to a piano finish. The box has polished gold hinged and a polished gold, magnetic closing clasp. 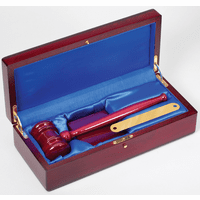 Case dimensions: 12" x 5 1/4" x 3 1/4"
How long is the gavel? The gavel is 10" long. Conssmall imperfection on top surface of box. had to accept this as item was personalized & time for presentation was looming. was saddened that this item was sent in less than perfect condition since it should have been absolutely first class given the type of object & the price. 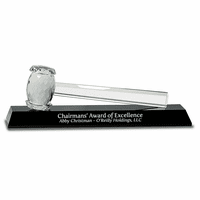 This was the perfect gift for someone who just became President of an 18,000 member association. The presentation box. 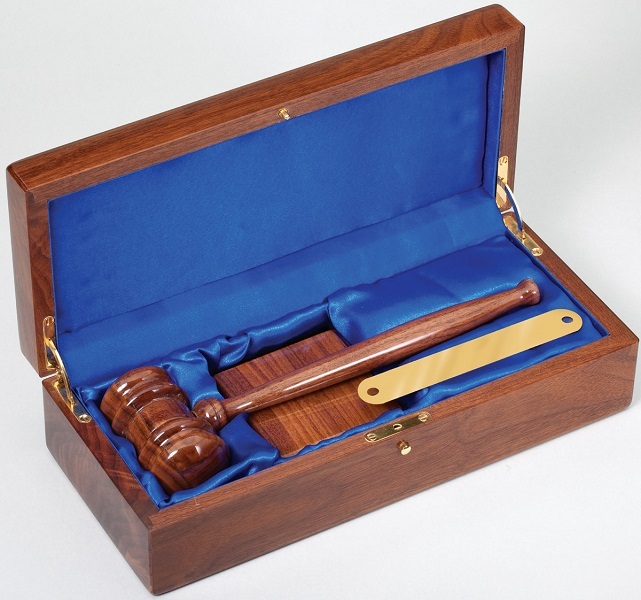 the gavel and the sounding board were finished tp perfection. It was more that I hoped it would be.